Life Magazine March 24, 1967. 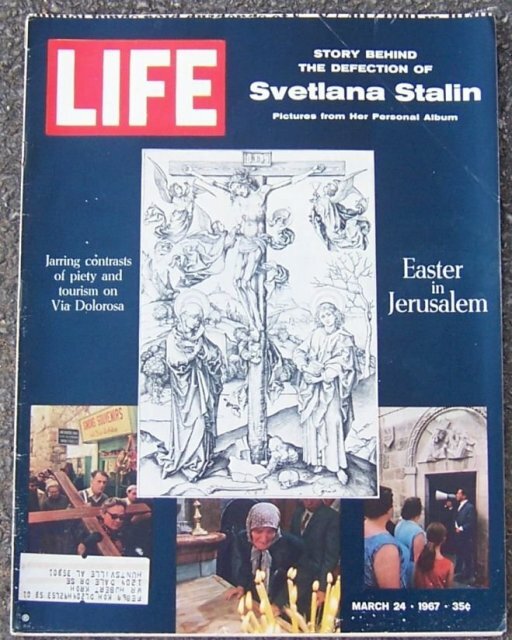 Easter in Jerusalem On cover. Articles also include India's Post-Election Fury, Eric Hoffer, Elizabeth Hartman, Easter in Jerusalem, Svetlana Stalin, How TV Went Haywire and more. Filled with great period advertising and Life's Famous photographs. Magazine is complete and in very good condition. Slight wear and creases at edges.